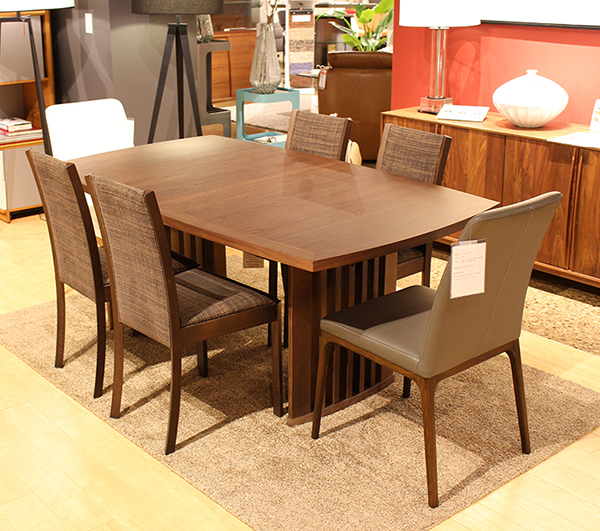 Skovby SM-19 Extendable Dining Table – Floor Model Shown in Lacquered Walnut. 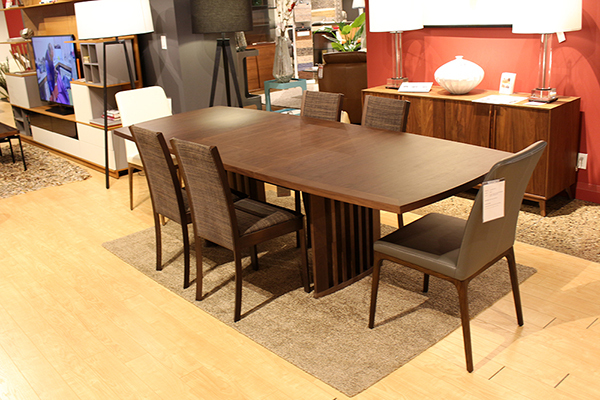 The SM 19 is a unique dining table with 2 extension leaves stored under table top. The clean lines and detailed legs provide character to this Danish piece. 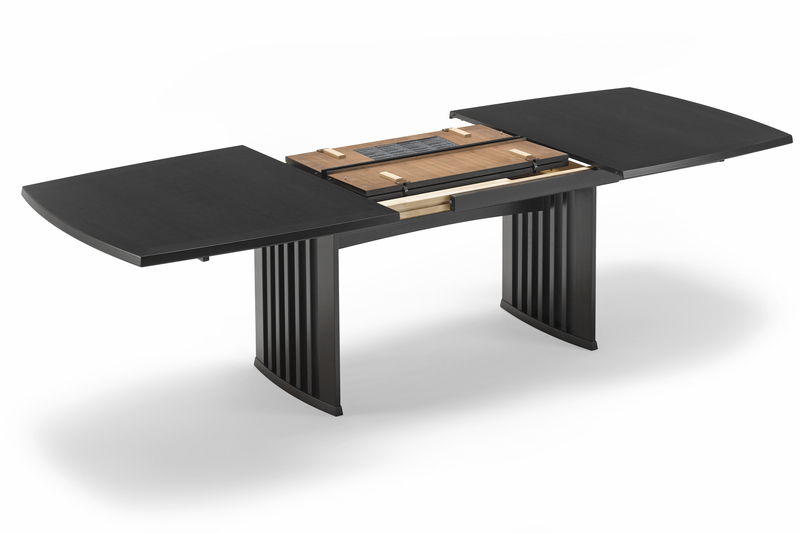 Not only is this table beautiful, it is functional. Having a dinner party? This table can seat up to 12 people. Simply pull the table from one side and the extension leaves will push up.